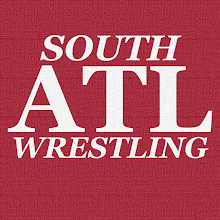 It's been an interesting couple of weeks in college football down here so I thought I might try to collect my thoughts about one of the biggest stories here on South Atlanta Wrestling. UGA firing Mark Richt--Coach Richt is a great guy and had a ton of success in Athens. He finished this regular season with 9 wins and considering the injuries that was still pretty impressive. Do I think UGA did the right thing here? Absolutely and I'll tell you why. For all Mark Richt accomplished in Athens, I think you can easily argue that his teams underachieved to a large degree. The main reason I feel that way is that in the last three years there the SEC East has been WIDE OPEN for the taking. Without looking it up I figure UGA was probably the favorite to win all three of those years. If not all three, then at least a couple of them. How many times did they take the East in those three years? Zero. Who won it instead of UGA? A couple of middling Missouri teams, and a Florida team under first year coach Jim McElwain. Richt's inability to win a bad East was a huge indictment on where the UGA program has been lately. What about the 9 wins? The 9 wins is fairly nice looking until you dig in and you notice a couple of things. A lot of those teams they beat were just not very good for one. Secondly, in their biggest tests (BAMA in Athens, Florida in Jacksonville) they got completely outclassed. I tend to believe that if they are even competitive in those games AD Greg McGarity might have hung on to Mark Richt. They weren't and he didn't. As for that third loss...it was to what has turned into a pretty decent Tennessee team, but it came after UGA blew a three touchdown lead to a team that's reputation was they didn't know how to finish. Now the loss of Nick Chubb at the beginning of that game certainly mattered, but you couple this loss with those two no-shows I mentioned and I have no issue with going a different direction if you're Georgia. UGA hiring Kirby Smart--While it's not officially official and while Kirby Smart reportedly will stay with the Crimson Tide throughout the rest of the season, it has been leaked that he will be the Head Dawg in Athens next year. I think it's a great hire, but others aren't so convinced apparently. As I quipped on Twitter the other day, "Will Muschamp really screwed up getting a coordinator as a head coach for everyone." What I mean by that is that the moment Smart was named I've heard that comparison made. Now I completely understand why people would prefer to have a proven head coach fill the void in Athens, I think Smart has the perfect pedigree for the job and being an alum isn't a bad thing either. Kirby Smart has learned at the feet of one of the greatest coaches of this generation and any generation really in Nick Saban. He's been immersed in a program that has done nothing but succeed for the last 8-9 years. Every coaching hire is a bit of a gamble, but I believe this was a worthwhile one. ETA: I initially forgot to mention his recruiting ties in the talent rich Georgia area. That's another check in Kirby's favor. Think about it this way...Georgia already gets great talent. Kirby Smart has helped get great talent to Alabama. Putting that together I'd imagine he does a great job getting talent to Athens. I heard him say in an interview that Coach Saban always reminded them that "they were behind" not matter how well they had recruited. That speaks to the mentality he's operated under while at BAMA. This guy knows what to do on the recruiting trail. The U hiring Mark Richt--This was a home run hire for the Hurricanes. Now some may question how I can feel that way when I said that UGA justifiably fired Coach Rich. It's a good question, but the answer isn't complicated. One, the thing ran its course in Athens for him. It was time for a fresh perspective and a new energy up there. A change is going to be good for UGA and I also believe it will be good for Mark Richt. Second, UGA is a program that in this much better than Miami. If Coach Richt has "UGA success" at Miami then that will be a huge upgrade over what they've had. He was the best coach that I believe they were going to be able to get, they got him, and I think it was the right move for all involved. To me, Smart to UGA and Richt to Miami is a win-win. It's a rare occasion where everyone involved has now come out ahead. Mark Richt would be better off in Athens, mind you, but since they let him go I think Miami is a nice landing spot for him. For Richt it may not be a WIN, but it is at least a win. You know what I mean? The "Mark Richt is a great guy" thing--I do feel the need to touch on this a bit. Mark Richt is a great guy, I have no qualms saying that whatsoever. What I've grown tired of is this mentality out of some fans that Mark Richt is somehow the one white knight in a sea of scumbags and degenerates in the college football coaching profession. That's how it comes across sometimes and it's simply overstated. This is a results-driven business, Mark Richt underachieved, and UGA moved on. Coach Smart seems like a decent man from everything I've heard from him or about him so it's not like you're going from saint to sinner here. Let's not excuse underachieving just because Mark Richt is a great guy. I can't say I don't agree with some points here, and disagree with others at the same time. I have a vested interest, and very unique perspective, from most of the usual viewing traffic here. Not only am I a proud graduate of the University of Georgia, but I played football for UGA under Ray Goff for four years. To say I have a bit more "inside" understanding of the many moving parts to this coaching change, at least from the UGA side of it, is fairly safe to say. Personally I was a big Mark Richt supporter, and I am quite sad to seem him depart Athens. I think what side of this debate one falls on is about how one fundamentally views football, college athletics, and the role a coach and a football team play for a university. When I was at UGA there was a very strong and pervasive mindset amongst the entire athletic department, and especially the football program, that winning was important, but winning with class, graduating athletes, and preparing us as athletes to be solid spouses, upstanding citizens, great parents, and mostly a valued and respected representative of the University of Georgia after we had left Athens and our college athletic endeavors behind. Mark Richt was exemplary at fostering these values, and was thus so beloved by many within the university. The University of Georgia is the oldest state funded/public university in the United States. The concept that as an athlete on a UGA team you are a representative of the citizens of the state of Georgia whose tax dollars help to provide you with an education and the opportunity to pursue one's athlete pursuits is HEAVILY emphasized. No coach at UGA pushed this concept more than Mark Richt. I can understand that many feel that Richt couldn't win a championship as he hadn't won one in the last 10 seasons. I can see their viewpoint that in light of Richt's annual salary, the amount of talent he recruited to Athens, and the massive support he had from fans, alumni, and the administration he had become a poor return on their investment for lack of a better descriptor. What I am trying to show is that was NOT, nor had it been the historically, the emphasis at the University of Georgia, and that what Richt did better than any other coach in college football(graduate players, consistently have winning seasons, and prepare players for life after college) was in line with the longstanding mindset at UGA. As a proud alum I have to realize that this move reflects the shift in the paradigm at UGA. I am not saying that I don't understand what the shift is, but I also don't at its core agree with it. The vast majority of football players at UGA are like me inasmuch as their life after Athens does NOT include playing professional football, and that is even taking into account the 79 Bulldogs drafted into the NFL since 2002 (which Richt recruited and is more than any other coach, even Saban, in that timespan). Firing Richt was a sign that the mindset now is SEC and national title or bust. It also at a certain level says that all the goodwill done for UGA is not enough. That being steady and consistent isn't enough other. So I ask what is next? Are the fans willing to trade 9-11 wins a season for 1 title followed by many subpar seasons. How did that work out for Auburn and more importantly for Gene Chizik? I will have to live with how the mindset in Athens has drastically changed since I matriculated there. I don't have to like it though. Mostly, I am not as quite as proud of our school as I once was. I am on a certain level a bit ashamed to be associated with some of the boosters who pushed for this move and I am a bit embarrassed to realize they are my peers. Sigh. Now as for Smart as a hire, I get it. Those that act surprised are completely clueless. Since 2008 when Kirby left Richt's staff in Athens to become Saban's DC in Tuscaloosa many with the athletic department and key boosters have tagged him as Richt's replacement whenever that happened and for whatever reason brought that about. Well that departure has no happened, right or wrong, so those in power kept their word about hiring Kirby Smart. I played with Kirby. He is a good guy and has a great understanding of winning football games. His wife played BB at UGA. He is from Bainbridge. He understands the fan base and after all I just described I know he knows how lofty the expectations are in Athens right now. He has gotten to watch firsthand for the last 7 years the best college coach in Nick Saban coach and run a major college football program. That fact can't hurt Kirby's chances at winning. Now, a warning. The last time UGA hired an unproven coordinator from a major program it worked well overall (Richt in 2000 from FSU as Bobby Bowden's OC). Yet the last time we hired a homegrown talent that was an unproven assistant as head coach it wasn't quite as successful. (Ray Goff who was a Dawg QB under Vince Dooley in the 70s and his QB coach for most of the 80s). NO one can predict the future as to how Kirby will do, but we can only sit back and watch what happens. I do think his hire means UGA retains Jeremy Pruitt as DC, which is outstanding news, plus I think Kirby will recruit as well as Richt did, which is also a major feather in Kirby's cap. Now as for Richt returning to HIS alma mater, I think that is a no brainer. He is a proven winner in the SEC. His competition in the ACC will be much weaker as the head man for the U. Everybody knows RIcht can recruit south Florida, so that is a plus for Miami. Mostly I think that a program that even when it was the best team in the country, Miani was dogged by scandals and bad PR. If Richt's history shows us anything, those will NOT be issue for the University of Miami football program any longer. So on the surface it would appear a shift in the mindset of a football program isn't just shifting in Athens, GA, but possibly Miami, FL as well. One last comment, I agree that too many people pump up Richt's character and class, but why not? I agree he isn't the only coach in college football with these traits, but he is the best at that particular thing. Why wouldn't you play up your strengths? Don't the best bookers in wrestling spotlight the strengths of talents they are trying to push? I don't see this as any different. I look at it this way, when you are the best at a particular facet of something, play to that facet. Believe me, when someone has a character flaw, the public will put that flaw under a microscope, so I think it is about time the media shine a light on a positive trait about some one. Just food for thought there.